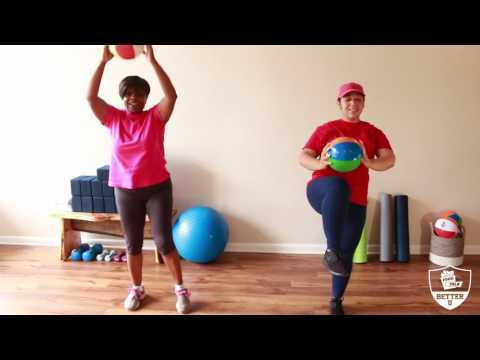 You don't need a special medicine ball to exercise! 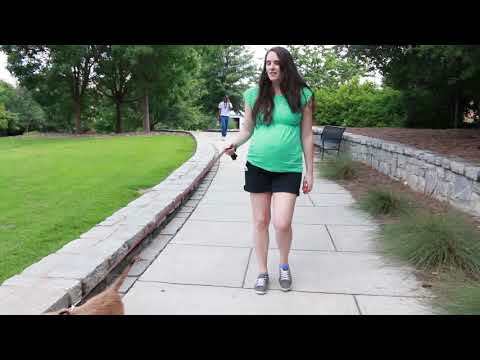 Watch and learn how common items like a simple beach ball and help you achieve a healthy lifestyle with these exercises from Food Talk: Better U. Music credit: "Colocate" by Podington Bear. Strength training exercises that anyone can do! Unlike weights or other traditional training aids, resistance bands can be adjusted to suit an individual's needs. 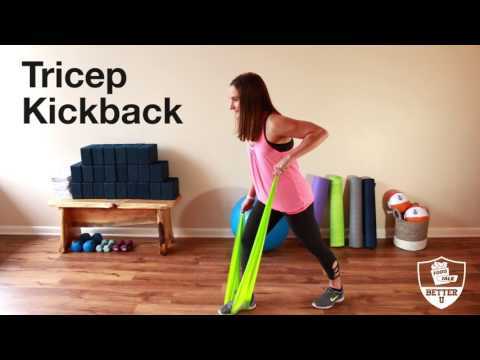 For ideas on how to work resistance bands into your healthy lifestyle, start with these exercises from Food Talk: Better U. Music credit: "Humble Pie" by Podington Bear. You don't have to be a pro athlete to be healthy. Learn how a pedometer can help you walk your way to a healthier you with help from Food Talk: Better U. Music credit: "Breadtime" by Podington Bear. Easy exercises that anyone can do! 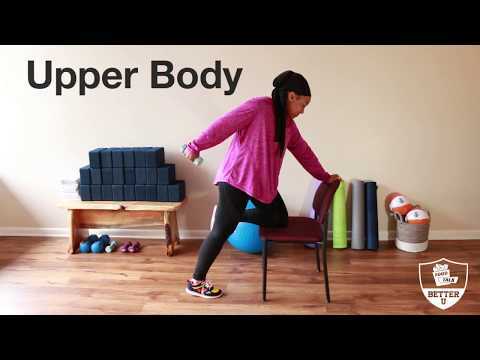 Learn how to use a simple chair to work towards a healthier you with this exercise from Food Talk: Better U. Music credit: "By Grace" by Poddington Bear.